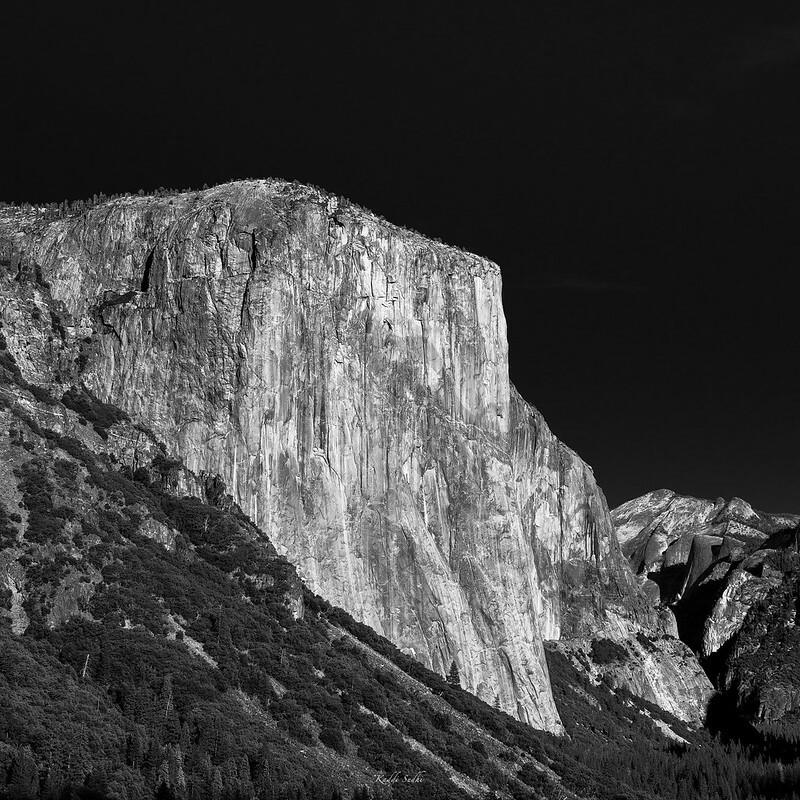 This was shot two years ago while on a family vacation to Yosemite National Park. 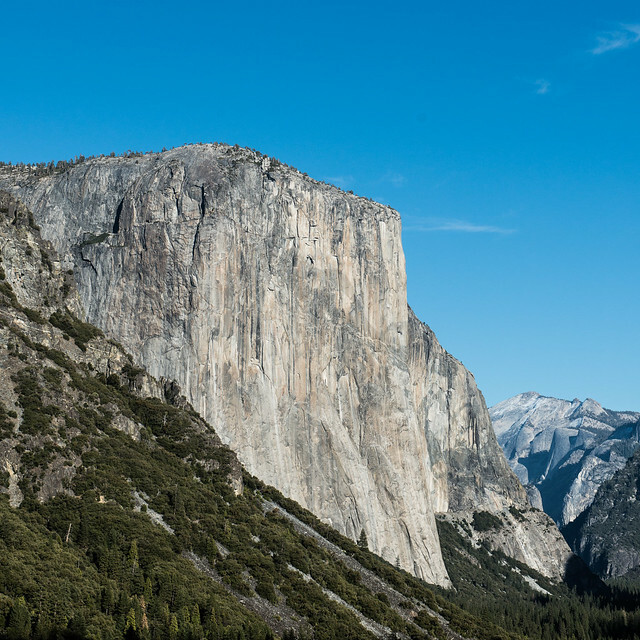 I think it was early afternoon and the light wasn’t that pretty, but standing at Tunnel View vista point, we could see that El Capitan was beautifully lit with no harsh lighting. Also the sky was pretty bland, but blue enough to make you wonder how the black and white conversion with a red filter would turn out. With that in mind, I took this shot and never got to working on it. Since my wife was pestering me for picking some photos to put up on the wall, I accidentally landed in 2013/11 folder and this was the first thing that stood up. Usually I do very minimal work in Lightroom. So with some basic conversions, took the color image into Photoshop. Based on previous work, I knew that a black and white conversion with a red filter would turn the sky to black and since thats what I was going after, I assumed that it was a quick edit. But to my surprise, Photoshop did a very weird thing with that conversion. The sky didn’t go completely black and there was some sort of halo around the bottom right of the sky…mostly due to brightness levels…I think. Never really had the patience to figure out. After messing around with it in Photoshop, I just gave up and went back to Lightroom. A quick play with the color sliders for black & white conversion gave me the sky I was after. Then it was a simple work of increasing mid-tone contrast in Photoshop and finishing up with resize and sharpen for web display. I’ve become too impatient and the lack of practice adds up more to it. But a welcome sign is that Lightroom B&W conversion seems to be pretty good and I’d definitely try more with it.